At James Spring & Wire, we manufacture products for a wide range of industries and in an assortment of configurations from complex designs down to the basic cuts. Oftentimes, customers and potential customers come to us looking for custom spring solutions for their application. 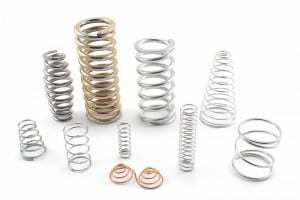 Custom precision spring manufacturing is only one part of a much larger supply chain and finding the right manufacturer to create your springs will help add value to the application as a whole. We have been manufacturing custom springs since 1960. Since that time our focus has been and continues to be, on manufacturing high-quality products in a timely, efficiently manner. With the ability to not only manufacture springs but also to offer spring end configuration and surface grinding in-house, we offer a streamlined spring manufacturing process. 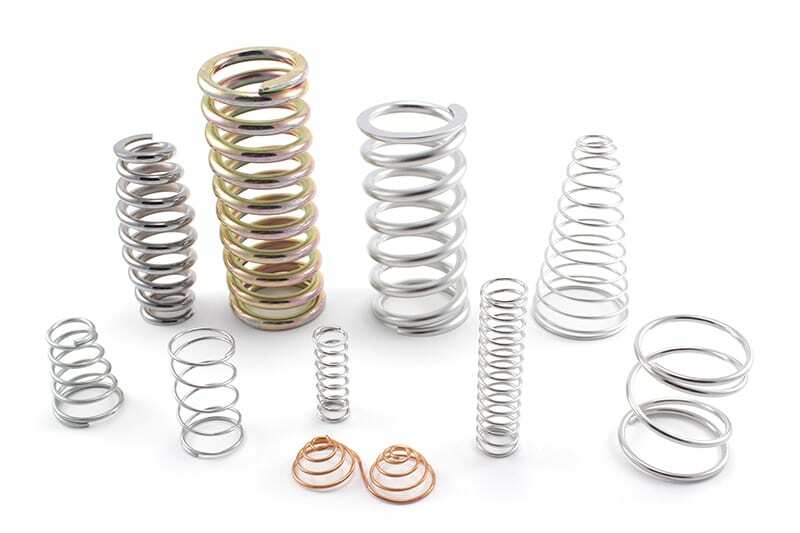 Compression: Available in a range of materials and finishes, precision compression springs that have close tolerance spring loads are ideal for a multitude of critical applications. Extension: Suited for use in a wide range of applications, including carburetors and farm machinery, our custom extension springs are available in various materials including stainless steel. Torsion: Based on your custom application needs, we manufacture single-bodied and double-bodied torsion springs with different end configurations including straight, offset, and hinge ends. We have experience working with a wide range of materials from stainless steel to titanium to a range of other alloys. When you have a complex or specific project ahead, our custom capabilities are a great option. We are equipped with high precision CNC coiling machines and have complete tool making abilities, offering full-service custom spring production. Whether you’re a contractor in need of custom torsion springs for a seismic ceiling installation or you’re in the automotive industry and need specialty door springs, we have the in-house capabilities to manufacture the product you need on time and within budget. As a leader in custom spring and wire form manufacturing, engineering, and design, we pride ourselves on delivering the highest quality products and solutions to a range of industries. Contact us about your custom spring, wire form, and metal stamping applications and let our experienced engineers help you find the best solution for your application.